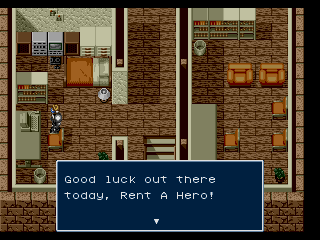 Rent A Hero is an action RPG released for the Sega Mega Drive (known as the Genesis in America) On September 20, 1991. Emphasizing on over-the-top humor, it was released exclusively in the Japanese market. 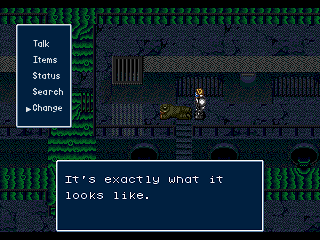 The gameplay of Rent A Hero can be described as an Overhead RPG, combined with 2D-based fighting segments, rather than turn-based combat that was common in RPG’s at the time. You control Taro Yamada, an average teenager who receives a battery-powered suit on complete accident when he orders pizza at his family’s house-warming party in the fictional town of Corja. 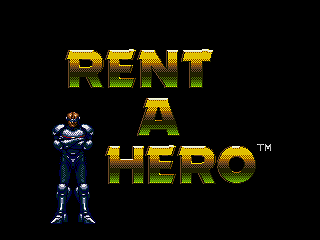 Discovering the powers the suit gives him, combined with a monthly rent to keep the suit, Taro decides to become Rent A Hero, a hero who will save the day…provided that he is paid. 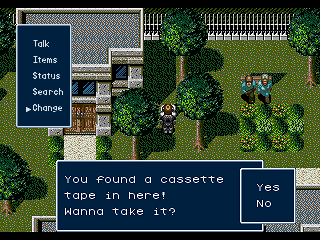 Continuing the work done by Paul Jensen, RedComet, and many others, this is a translation of Rent a Hero! 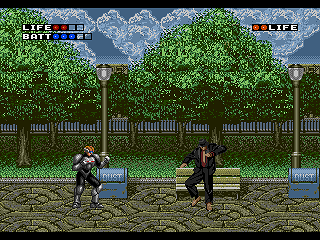 When your dad gets a new job, you move to Aero City - a place where crime runs rampant, people are suffering, and cafeterias rent out powerful armor to aspiring heroes for hire. Wait, what?